Valentino Rossi has officially landed on the Philippines last February 23, 2014. He came to help support Yamaha's Lend a Hand Project. This charity effort aims to raise funds to help the victims of those affected by Typhoon Yolanda. 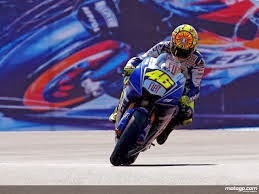 Rossi's arrival was very timely for the opening leg of Yamaha GP 5 which was held at SM City Sta. Rosa. Before the race officially began, a press conference was first graced by the Moto GP legend Valentino Rossi, Yamaha Motor Philippines Inc.'s President Toru Osugi, Sales General Manager Romeo Tan, Corporate support/Corporate Services/Logistics General Manager Alfredo Lejano and Marketing Section Manager Ryan Jude Camus. 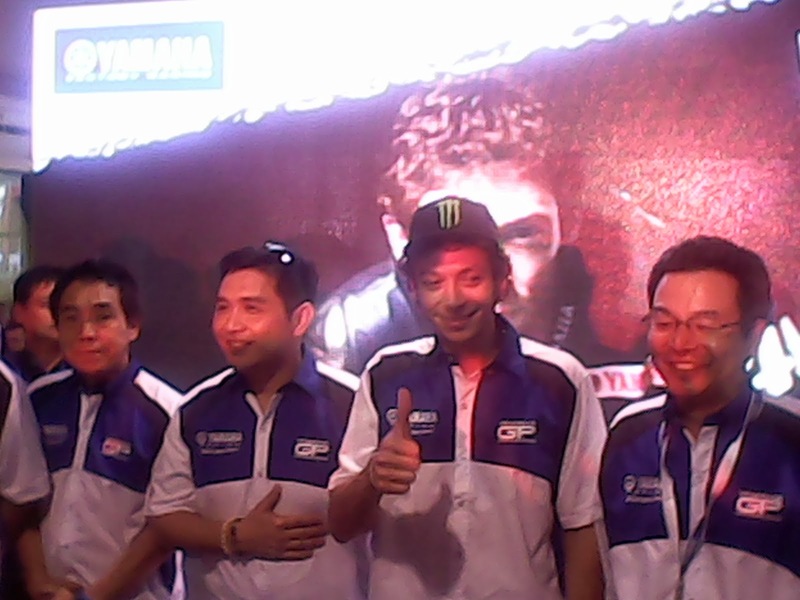 Discussed during the press conference was Yamaha's CSR activity to help rebuild lives of Typhoon Yolanda victims. This effort was made possible with the support from Yamaha Motor Company Ltd., Yamaha Motor Racing, Moto GP and YMPH. 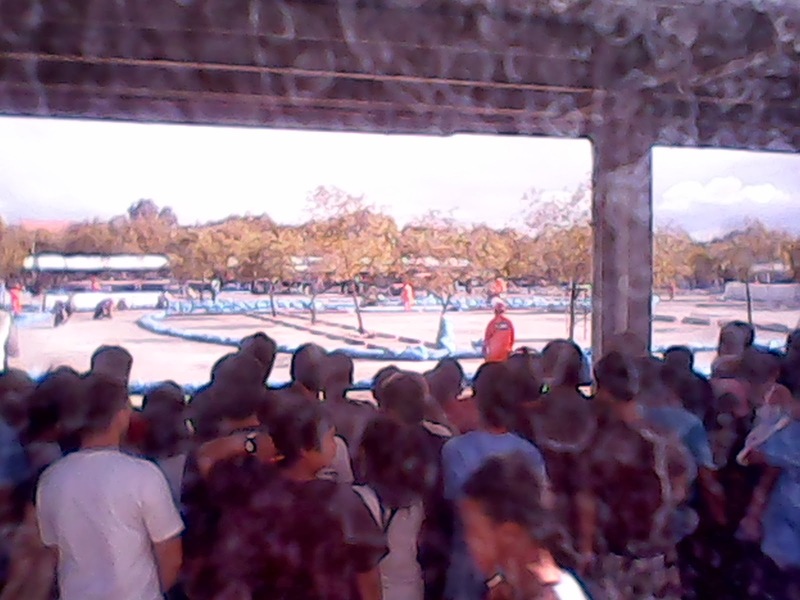 After the brief discussion, Valentino Rossi went out and greeted the riders who participated in the most-awaited racing event in the country, YGP 5. The Doctor also thanked everyone who has supported Yamaha's charity effort. Yamaha Club presidents and members who attended the event grabbed the chance to have a photo op with their umber one idol. Valentino Rossi's presence together with YMPH's new president, Mr. Osugi, signaled the beginning of the race. to make YGP 5 more special, Valentino Rossi has changed to his racing suit to ride around hte laps where our local riders battled it out for a podium finish. It was indeed a memorable event for everyone who attended. This is YMPH's way to revving our hearts. Experience a deep satisfaction that enriches the lives of people. Experience Yamaha. 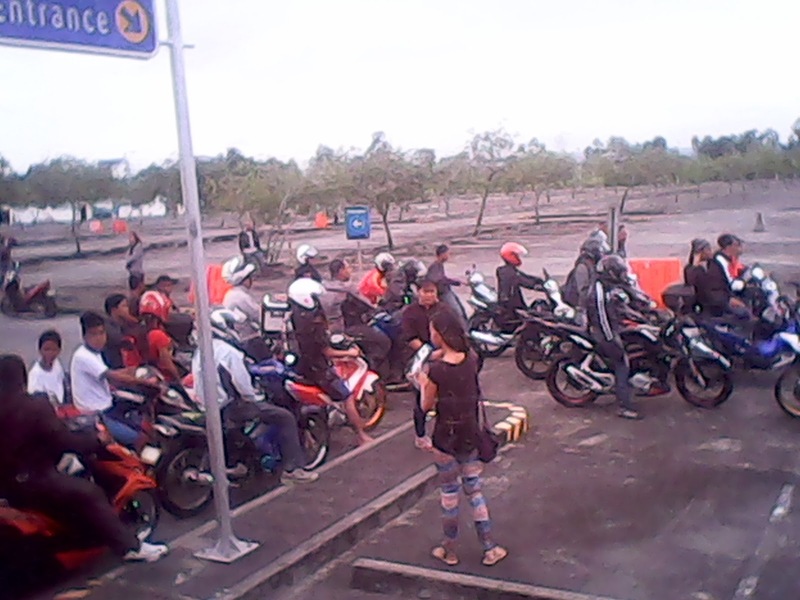 Just some of Yamaha Bike Clubs that went to the event. Celebrate life, celebrate with Goya! People of every race, culture, nation, religion, political belief, socio-economic status believe that special times should always be worthy of celebrating. 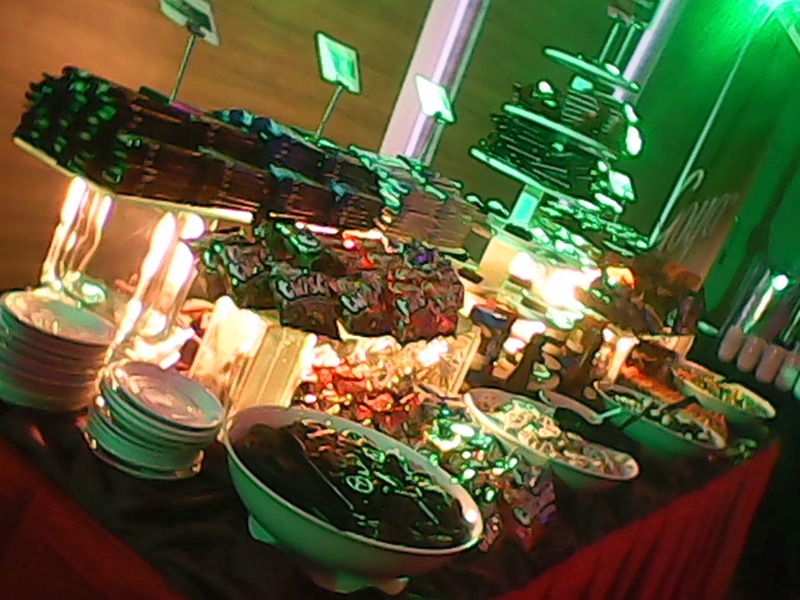 More than five decades on, Goya keeps the tradition of making life sweeter for every Filipino. 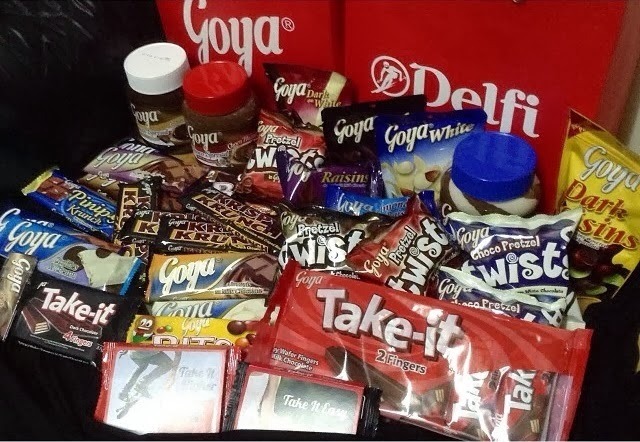 Josenilo Chincuanco Jr., General Manager of Goya, attributes the sweet success of the popular chocolate brand to innovations by making the confectionery brand more exciting in terms of taste and packaging. "Innovation is key. From three to four Goya brands, we have increased the brands and kept on introducing new and more innovative products that will attract the interest of chocolate-loving Filipinos," says Chincuanco. 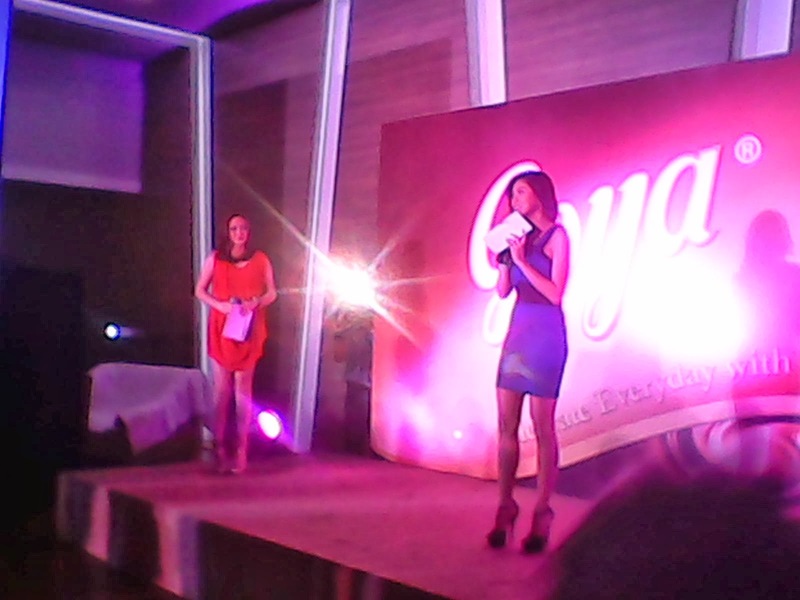 Goya, the nation's preferred chocolate brand, shows the way in celebrating life's simple pleasures and events as it held "Celebrate Everyday with Goya" last Feb. 20 2014 which was an evening filled with fun and where everyone enjoyed. People celebrating accomplishments in the company of friends, colleagues and of course, the taste of delicious chocolate-y treats that Goya prepared for everybody. The event featured lots of games, fun, prizes and surprises. It also marks the special appearance of Goya's celebrity brand ambassador, actress and TV host Kim Chiu, who actively participated in all the games and other activities that where lined up. The event also marks the special appearance of Goya’s celebrity brand ambassador, actress and TV host Kim Chiu, who is going to actively participate in all the games and other activities that are already lined up for this momentous occasion. Chincuanco also recognizes the fact that Kim Chiu was very much instrumental in elevating the awareness level on Goya, particularly among the younger set who may have not known that there is a fully homegrown chocolate brand that is as tasty as the other imported brands but not as expensive.
" We strive to become better every day and we hope that in Filipinos' celebrations, holiday or not, they could make Goya a significant part of their celebration," he adds. Goya now offers wide-array of products from chocolates bars, to chocolate covered -pretzel twists, chocolate wafers and even chocolate spreads. All manufactured using Swiss chocolate-making technology. For certified chocolate aficionados out there. Visit the Goya Chocoholics Facebook fan page at http://www.facebook.com/GoyaChocoholics.